Laura Mickels, RFC, is the founder and president of CochranMickels Retirement Specialists. Serving clients in the financial services industry for 39 years, Laura specializes in retirement planning, portfolio management, and financial consulting. Prior to forming her own firm, Laura worked as a stockbroker at Paine Webber, as a Branch Manager & Director at Charles Schwab, and spent time with Raymond James Financial Services and the Principal Financial Group. Holding Series 7 and 66 securities licenses, Laura is also a Registered Financial Consultant. 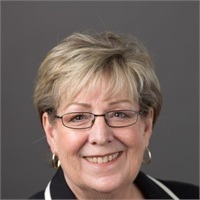 Dedicated to providing the best services to her clients, Laura is a Retirement Income Certified Professional RICP a designation awarded by The American College. This designation equips advisors with the knowledge to effectively manage the transition from asset accumulation during a client’s working years to asset decumulation in retirement. RICP® enables the advisor to demonstrate tremendous value by delivering smart strategies for creating secure, sustainable income for a client's retirement. Laura is most passionate about helping her clients see the financial potential they are capable of achieving, and giving them the confidence and ability to pursue their dreams and reach their goals. Optimistic and diligent, Laura’s current outlook on life was greatly influenced by her father who was loyal, honest, faithful, generous, and loving at all times. A true dedication to helping people however she can, Laura often volunteers her time serving on boards, governance committees, and in officer positions. Outside of the office, Laura enjoys competing in sporting clay's, researching genealogy and family history, and spending time with her family.